3:50pm: Thornton will earn $3.5MM in each year of the deal, and his contract does not contain any bonuses, according to Joel Sherman of the New York Post (on Twitter). 3:15pm: More than three weeks after the initial agreement was reached, the Yankees have officially announced their two-year deal with left-hander Matt Thornton. The longtime White Sox hurler will reportedly receive a $7MM guarantee. Thornton is represented by Diamond Sports Management. Thornton, 37, pitched to a 3.74 ERA with 6.2 K/9, 3.1 BB/9 and a 50.2 percent ground-ball rate in 43 1/3 innings for the White Sox and Red Sox in 2013. Opposing left-handers hit .235/.267/.370 in 89 plate appearances against Thornton last season. Though Thornton's once-blazing fastball has been in a steady decline since 2010, he still averaged a healthy 94.2 mph on his heater in 2013. The Yankees were in need of a lefty reliever after losing Boone Logan to free agency. Logan inked a three-year, $16.5MM contract with the Rockies, meaning the Yankees were able to secure his presumable replacement for less than half the price. The Yankees' bullpen will have a new look to it in 2014, with David Robertson currently in line to take the ninth-inning reins from Mariano Rivera and the departures of Logan and Joba Chamberlain. Yankees general manager Brian Cashman has been heavily active on the free agent market, signing Jacoby Ellsbury and Brian McCann to mammoth contracts, re-signing Hiroki Kuroda and also adding veterans like Thornton, Kelly Johnson, Brian Roberts and Brendan Ryan to low-cost contracts. Jack Curry of the YES Network first reported the contract and the terms (on Twitter). Is your username meant to be tongue in cheek (Armstrong and AROD = PEDs)? I just changed it to something else. Its from an old email or AIM account that I used to use, I was a big fan of the livestrong brand back then. I honestly thought this was official some odd weeks ago. Either way this is a solid addition to the pen and the Bronx is no longer Vernon. No mention of Beltran? I know he’s old but he can still make an impact. Matt Thornton 8th and Grant Balfour in the 9th inning. No way Robertson is the 7th inning man and Thornton is the 8th. 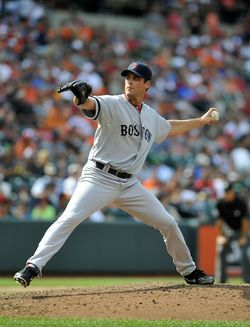 Balfour or not, Robertson is the best reliever on the Yankees and prob a top 10 reliever in MLB. Thornton was brought to be the LOOGY (Logan’s replacement). Sign Balfour for the 8th inning, have Robertson close, and let guys like Kelly and Claiborne be the 6th and 7th inning guys, Thornton isn’t that good anymore and shouldn’t pitch anywhere near the 8th inning, much less over Robertson or Balfour (if we sign him). Not to mention player B had technically his worst k/9 in three years, and player A was his best im 3 years. Who would you rather close? Clearly player B. Now get Balfour and another starter (Garza, Tanaka or Ubaldo Jimenez) and we will be ready to start the season. Balfour probably would have been a better sign, or saving the money up for. Thornton was a disaster for Boston last year, 23YO Rookie Drake Britton even was better getting LH hitters out and both were left off of the post season roster. No offense, but I hope this 2y deal turns out OK, Thornton’s velocity was way down from the 96-98 some of you fans might remember and he was just throwing 93-4 and rarely hitting 95. This ain’t the once dominant guy some might remember. Maybe he was hiding an injury? Hope so, or the NYY are going to get another plan B to assist him. Thorton puts up all his good numbers against awful teams. You Yankee fans will figure that out real soon. This guy couldn’t close out Detroit, Cleveland or Kansas City without any consistency.